In the decade following the first edition of this book, TOF-SIMS: materials analysis by Mass Spectrometry has been transformed by the adoption of heavy polyatomic or cluster primary ion sources. Lower damage rates and higher yields of analytically useful ­secondary ions have benefited all areas of application, especially in medical science, but the ability to perform depth profiling of organics has opened up entirely new possibilities. 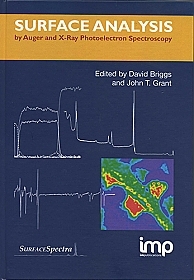 These and other advances in instrumentation and data handling/interpretation are all reflected in this completely revised edition of TOF-SIMS: Materials Analysis by Mass Spectrometry.